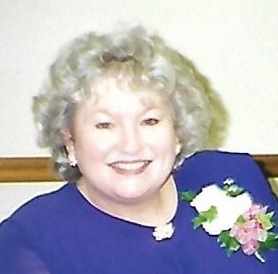 Mrs. Marilyn Waters Rogers, 73, passed away Saturday, January 19, 2019 surrounded by her family. Mrs. Rogers was born September 4, 1945 in Rabun County to the late Carlton Clifton Waters, Sr. and Rosa Mae Giles Waters. Marilyn love to fish and plant flowers; she was a loving wife, mother, and grandmother. She always had a radiant smile when ever people saw her. Survivors include her husband of 49 years, Calvin Rogers of the home; a son, Carl Blackburn (Fran) of Demorest Ga; two daughters, Lynne Keener (Kevin) and Sheila Browning (Scott) all of Franklin; five grandchildren, Ryne Brown (Cailey), Kyle Brown, Adam Brown, Kate Blackburn, Chase Browning, and a step-grandson, Cody Keener. Mrs. Rogers was preceded in death by her sister, Bess “Bea” Lee Waters Eaton and a brother, Junior Waters. A funeral service will be held 1:00 P.M. Tuesday, January 22, 2019 in the chapel of Bryant-Grant Funeral Home with the Rev. Greg Rogers officiating. Burial will follow in the Wright Cemetery. Pallbearers will be Ryne Brown, Kyle Brown, Adam Brown, Cliff Waters, Scott Ledford, and Jeff Foster. The family will receive friends from 6-8 p.m. Monday evening at Bryant-Grant Funeral Home and Crematory. Bryant-Grant Funeral Home & Crematory is serving the Rogers Family.